The Disc Golf World Tour was off to a huge start at the 2016 La Mirada Open in beautiful Southern California! It’s the first of five Top-Tier International Events throughout four countries on the best courses in the world hosting the best players on the planet. The stage was set at the La Mirada Disc Golf Course which was the 2nd permanently installed course in the world established in 1976 and celebrating it’s 40th anniversary this summer. It’s the crowned jewel of Southern California, host to many of the greatest tournaments including the SoCal Championships and the Golden State Classic National Tour Events. The La Mirada Open was a huge undertaking for Event Manager, Jussi Meresmaa, as he had planned for this event for over 6-months. He has organized events on several continents including Europe, Australia and now North America. It wasn’t easy by any means, stating that this event was 10-times more difficult than hosting any other tournament back in Europe for the fact that it was a temporary course with lots of local park restrictions on media coverage and accessibility. The amazingly supportive tournament staff headed by Jeff Spohr and many local event volunteers made it a bit easier for everyone involved. It’s always a challenge when tournament central and the course equipment had to be set-up and broken down on a daily basis. It adds another level of event organization. The local volunteer staff provided lots of assistance in bringing this event together by helping with group scoring and daily course preparations. The La Mirada Disc Golf Course was extended and transformed into the La Mirada Gold Course, a challenging 9,000+ foot, Par-63 layout. It properly used much of the existing layout by stretching out some longer Par-4’s for the World-Class Competitors. 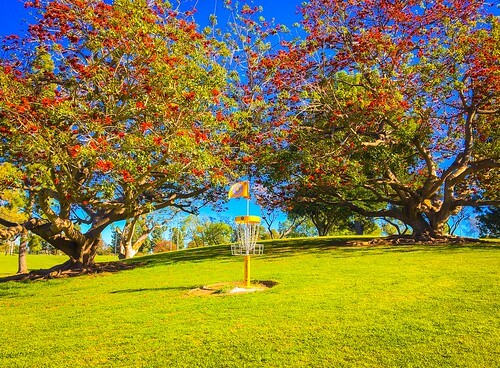 This course has never looked so good with the lush green grass on the rolling hills, the erythrina trees in full bloom and all of the Disc Golf World Tour banners to make this look like a truly professional event. It’s a lot of hard work putting together a top-tier tournament with lots of back end organization but the one thing that stands out in the eyes of the competitors, spectators and fans is the course itself. The course designers, Austin Montgomery and Jussi Meresmaa, did an excellent job of dialing in this beautiful course. The Disc Golf World Tour is strong set on advancing the professionalism by providing the very best to the players and making it more entertaining for the spectators watching from all over the world. 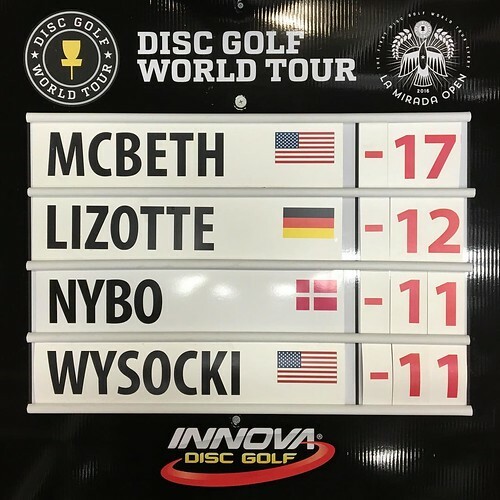 The Disc Golf Metrix System was also introduced to allow Disc Golf Fans to follow their favorite players by not only watching hole-by-hole live scoring but by providing player statistics to tell the story of their round. Statistics is an intricate part of all sports but something that has been missing from Disc Golf for many years…until now. The implementation of Disc Golf Metrix is critical to the growth and image of our sport, as it’s by far my favorite addition to the Disc Golf World Tour. Disc Golf Metrix tracks four separate components to a players round: Green Hits, Inside the Circle Putts, Outside the Circle Putts and Penalties. Since in Disc Golf we don’t have a true fairway to dictate fairway hits like in traditional golf the statistics involve our 10-meter circle putting green. Here’s a great article describing the Disc Golf Metrix. Green Hits: Shots landing inside the 10-meter putting circle increases a competitors odds of recording a birdie on a hole. In the Disc Golf Metrix, green hits are recorded as a single element. Much like greens in regulation in traditional golf, a successful tally for green hits on any hole that is a par three, the drive must land inside the circle. On a par four, a successful green hit is recorded if the drive or second shot lands inside the circle. Green hits are recorded as a green circle on live scoring. Inside the Circle Putts: Drives or upshots landing inside the circle is only half the battle. You still need to convert the putt from within the 10-meter circle and this is where the next Disc Golf Metrix statistic comes in. This will be a tally of all putts from inside the circle. If a drive lands inside the circle, but the first putt is missed leaving a simple drop-in to complete the hole, a total of two is recorded for inside the circle putts for this hole. Outside the Circle Putts: One could easily turn a good round into a great round with conversions of putts from outside the circle. This could be from just outside the 10-meter circle or from the middle of the fairway on a 600 foot hole. While inside the circle putts are counted, outside the circle putts are treated as a checked box. If the hole is completed from outside the circle it will be recorded with a blue star on the live scoring. Penalties: All out-of-bounds throws, lost discs and player violations will be recorded as penalty strokes which in turn will effect the final score. The player may be having a great round but due to a few errant shots those can be devastating to the score. Those will show up on the scorecard to be viewed by all and obviously altering the total score. It is a totally new experience for me as I transition from a full-time touring player to a disc golf promoter and world traveling ambassador. I recently took on my new role as Co-Commentator of the Disc Golf World Tour along side of Jamie Thomas. It’s very exciting, but challenging at the same time. It is a demanding position being on the media side of a disc golf tournament as opposed to being a player. It requires long hours of preparation and scripting of highlight voice-overs for videos after the round. It’s a great opportunity being a sports commentator for the Disc Golf World Tour and it’s a lot of fun being an intricate part of the event broadcast. We had our difficulties with the elements starting out with our first live broadcast in the downpour rain on Saturday as we huddled under an umbrella to keep the microphone and the production equipment dry. It was much different doing live color commentary as opposed to the post-production voice-overs that I’m use to after all of these years of making Disc Golf Instructional Videos. There is only one chance to get it right and there’s a lot of pressure to perform but I welcome the challenge. Jamie Thomas did an amazing job throughout the weekend organizing the entire media crew from the editors, cameramen, production assistants and broadcast directing. He was responsible for a majority of the live broadcast and the daily highlight videos as well as being the lead commentator for the Disc Golf World Tour. Jamie is incredibly well-spoken and very educated on the game. I myself bring the player perspective with my decades of being a Professional Touring Disc Golfer. I think that we made an excellent team. I was really happy on how the live broadcasts went on the final two days as we’ll only get better. I’m looking forward to the Disc Golf World Tour Events ahead! All of the Disc Golf World Tour events are one division, one champion format focusing on showcasing the best players in the world regardless of their division. It was a difficult decision for all of us going to this format but it made a lot of sense. When you look at it from the disc golf business side, it’s more effective to promote a single division as a product to the potential sponsors in these international markets. We are not just accessing the US market with this type of tour but four separate business markets in which these events will be hosted. This is truly a International Global Disc Golf Tour. There were some players upset about the one division format but they need to see the bigger picture of the initial importance of producing a successful, self-sustaining tour. The Disc Golf World Tour has a huge potential for massive growth and these players need to avoid thinking about just themselves because they feel that they should play in their own division. Everyone needs to look at the big picture and the possibilities. This is a tour that breaks the mold and does things differently in order to progress the sport in a positive direction. We’ve seen similar structures in other sports that have been very successful. We all need to be accepting of something new and different as the Disc Golf World Tour is doing everything possible to grow the sport. The divisional situation will be revisited and then reevaluated in the future to see what is truly best for the advancement of the Disc Golf World Tour. 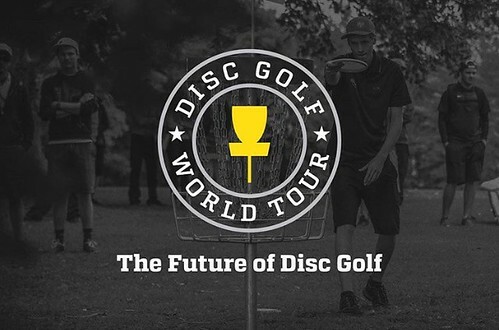 The promotion and marketing of the Disc Golf World Tour in unlike anything that I’ve ever seen for any Disc Golf Event I’ve been a part of throughout my career. 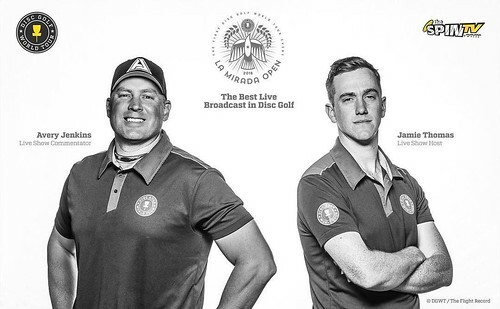 There’s not a single Disc Golfer on the planet that is tuned into social media that didn’t know that the La Mirada Open was taking place that weekend. It had extensive coverage throughout all social media outlets including Facebook, Twitter, Instagram, YouTube along with the Live Scoring/Metrix and Live Broadcast of the event. It’s this type of promotion that’s going to really get Disc Golf noticed. It’s not only about the 400+ players, spectators and fans at the event. It’s about broadcasting this to the masses of Disc Golfers world-wide that want to follow all of the action from the event. 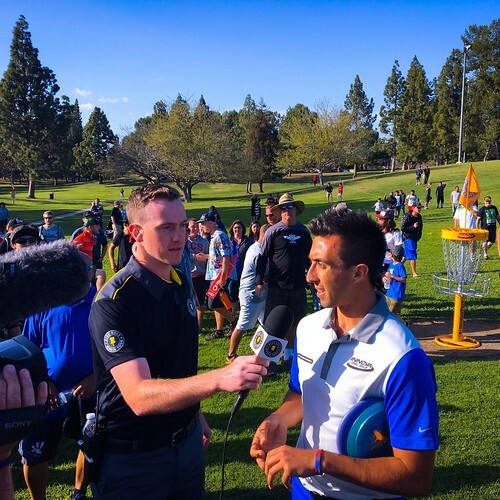 Congrats to Paul McBeth on his victory at the Inaugural Disc Golf World Tour Event, the 2016 La Mirada Open! He played outstanding throughout the entire weekend and lead from wire to wire. Although a few players got within a stroke of him at one point or another, he never lost the lead even through the less than ideal conditions on the second day playing through the rain. He is a true Champion and deserves this victory because no one thoroughly prepares for Disc Golf as much as him. Thanks to Jussi Meresmaa, Jeff Spohr, Erno Vayrynen, Austin Montgomery, Ryan and Jennie Rintala, Chris Finn, Terra Firma Media, the Disc Golf World Tour Production Team, Jamie Thomas and all of the Disc Golf World Tour Volunteers. Special Thanks to the Disc Golf World Tour Sponsors: Innova Champion Discs, Discmania Discs, DiscGolfPark, Grip Equipment Disc Golf Bags and DUDE Clothing. The Disc Golf World Tour is in full swing and I’m really looking forward to the upcoming events. Next up is the 2016 Konopiště Open at Zámecký Park Konopiště in Benešov, Czech Republic! I’ll be there to keep you posted on all of the incredible Disc Golf action from Europe! 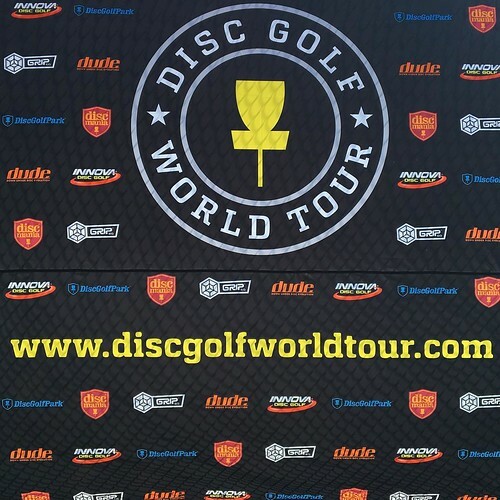 For all updates on the 2016 Disc Golf World Tour check out the Disc Golf World Tour.